Both sexes fully winged. Body, legs and antennae brown except, tarsi yellow also fore tibiae distally, antennal segment III yellow also base and apex of IV; fore wing dark but sharply pale sub-basally. 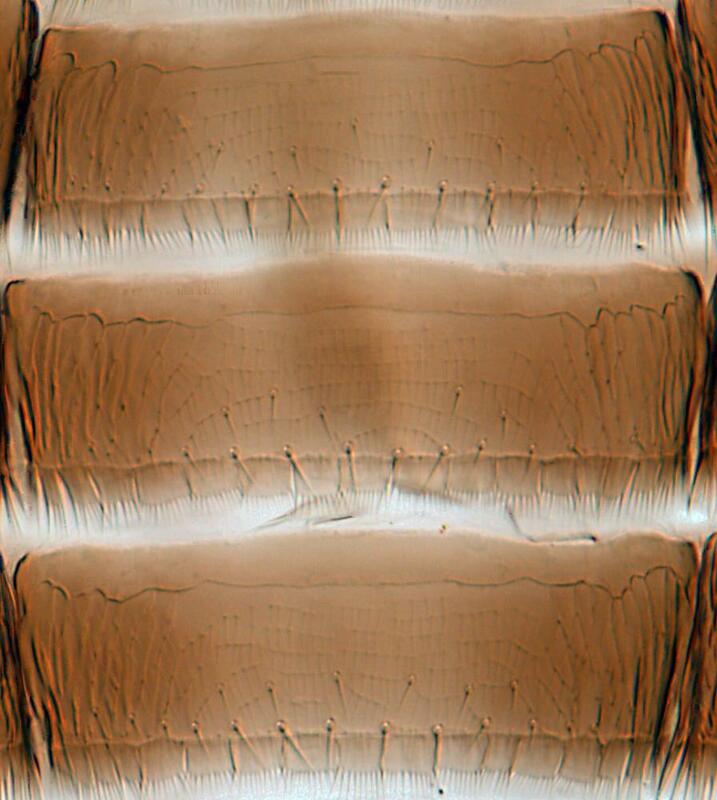 Antennae 9-segmented, apex of III–IV encircled by ring of sensory pores, III with base elongate and divided. 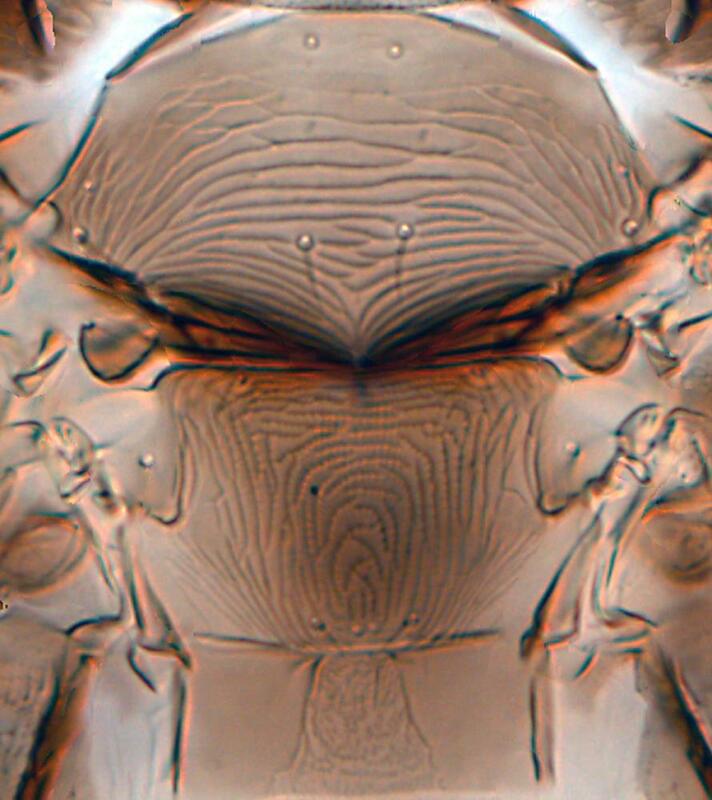 Head and pronotum with no long setae, ocellar region with three pairs of setae, pair III within ocellar triangle. Metanotum with concentric rings of microtrichia, median setae near posterior margin. Fore wing slender, both longitudinal veins with complete rows of setae; posteromarginal cilia not wavy. Abdominal tergites II–VIII with median pair of setae arising closer to each other than their length; postero-lateral margins of tergites with craspedate lobes bearing microtrichia, VI–VIII with marginal comb complete medially; tergite X scarcely longer than basal width. 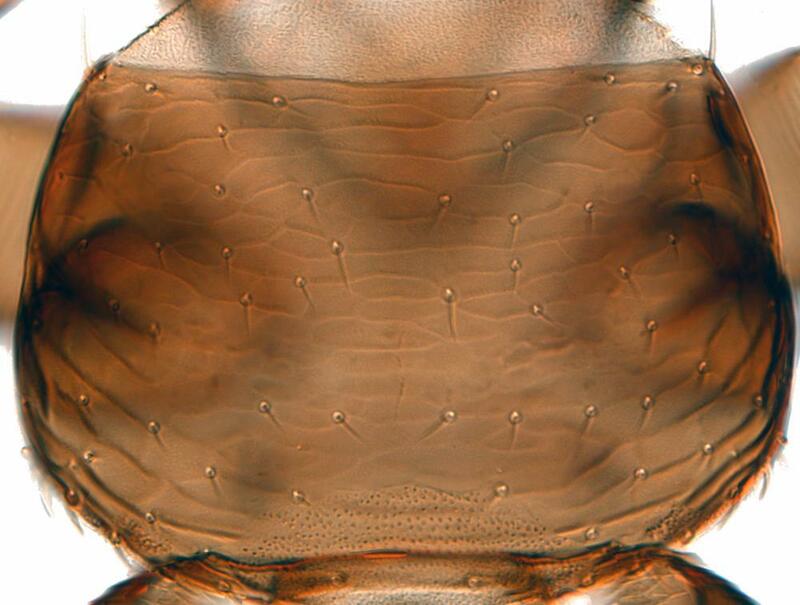 Posterior margins of sternites III–VI medially with well developed craspedate lobes bearing microtrichia and 8–10 marginal setae arising submarginally. 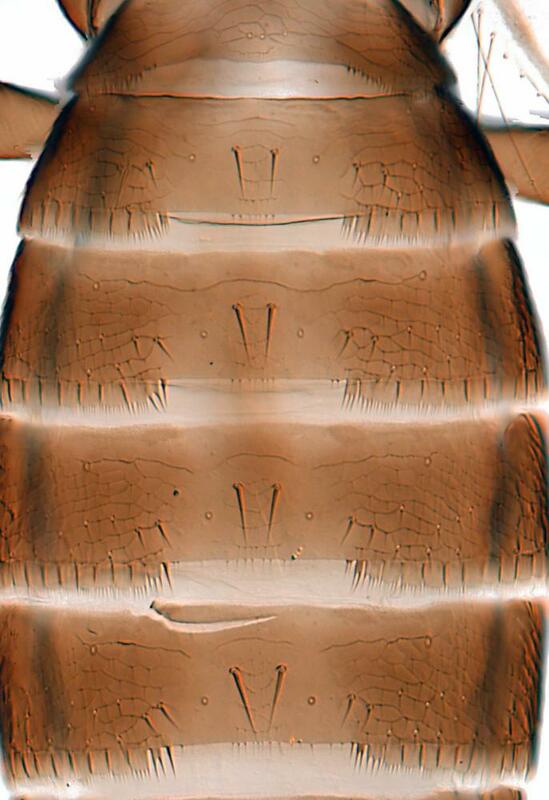 Male with oval pore plate on antecostal area of sternites III–VIII. The family Heterothripidae includes only four genera, all from the Americas. Rather more than 60 species are currently listed in Heterothrips, and these are found widely between New York and Argentina. 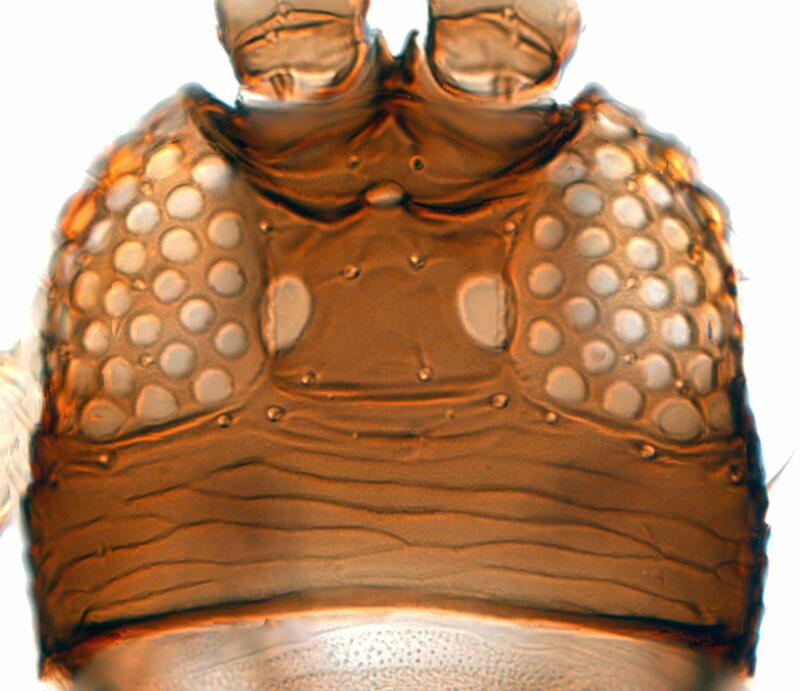 H. prosopidis is particularly similar to H. lasquerellae Hood from Texas and Mexico, but has a more elongate pedicel to the third antennal segment. 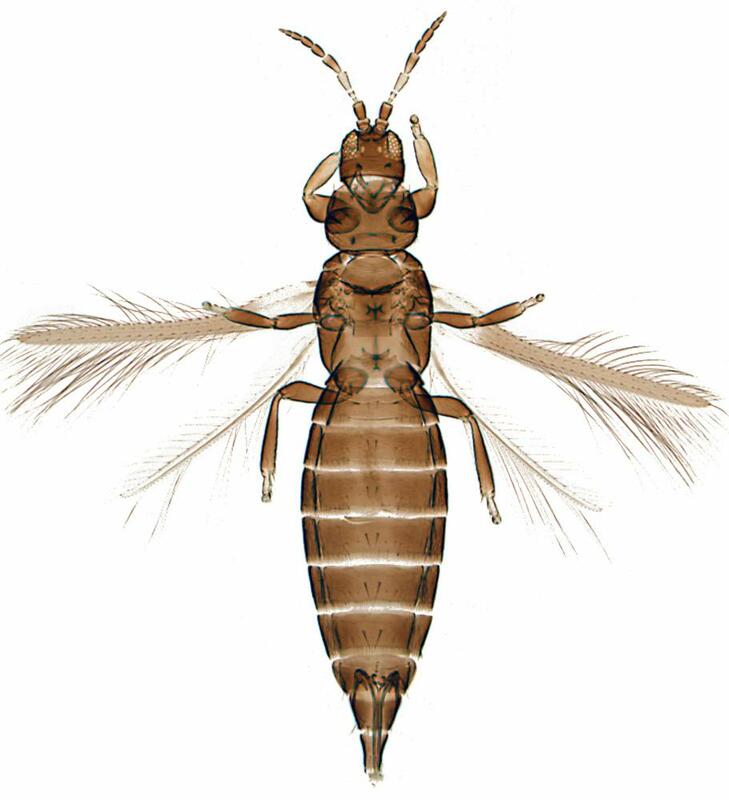 The species of Heterothrips are likely to demonstrate a high level of host specificity, but good field data has yet to be collected.